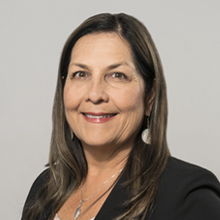 With more than 25 years of experience, Corrine is a seasoned auditor, trainer and consultant who has dedicated her professional career to serving Native American tribes and is nationally recognized as an expert in tribal government financial management. Her combined public accounting background and hands-on experience working inside tribal organizations makes Corrine uniquely qualified as an insightful and proactive advisor to tribal governments, tribal gaming and business enterprises, and tribal healthcare facilities. This combination of expertise and dedication to advancing Tribal causes is also reflected in her leading the Firm’s National Tribal Practice. As an external auditor, her range of experience includes managing engagements for financial statement audits, single audits, organizational development, and forensic procedures specifically designed for the challenges and complexities of tribal organizations. As an in-house financial executive, she spent 14 years managing government and enterprise operations and overseeing the financing of economic development activities for tribes throughout the Southwest, including three years as a CFO for a large tribal healthcare corporation. She also spent three years with a fortune 500 manufacturing corporation. Corrine formerly served on the Native American Finance Officers Association (NAFOA) Advisory Board of Directors. She was the NAFOA representative to the Governmental Accounting Standards Advisory Council (GASAC) of the Governmental Accounting Standards Board (GASB), representing tribal governments in financial and accounting reporting standards for 2000-2006. She was one of the project managers for NAFOA’s GASB 34 Implementation Guide for Tribal Governments, and Tribal Casino Financial Reporting Guide. Corrine is a member of the Ft. McDermitt Paiute-Shoshone Tribe of Nevada. Corrine is a Certified Public Accountant, a member of the American Institute of Certified Public Accountants (AICPA) and is currently a Board member of the Arizona State Society of CPAs. Corrine is a speaker at tribal conferences, including the Native American Finance Officers Association (NAFOA), the National Indian Gaming Association (NIGA) Conferences and Seminar Institute, and the 2012 REDW Tribal Finance and Leadership Conference. Her presentations have included Strategic Planning for Tribal Economic Development, Financial Literacy for Tribal Leaders, and Federal Financial Grant Regulations, Tribal Taxation Issues, Auditing and Internal Controls. Corrine serves on the board of directors of the NABI Foundation, a non-profit foundation supporting Native American youth through programs in higher education, sports, health and wellness and community building. She also is the lead instructor of the Tribal Financial Managers Certificate Program, a joint project of Arizona State University American Indian Policy Institute and NAFOA.